In 2009 a study was conducted to assess the consequences of giving probiotics to patients suffering from chronic fatigue syndrome. Unfortunately, none of the patients participating in this study noted that the symptoms related to fatigue were less present when taking probiotics, and one patient even noted that fatigue was worse when taking probiotics. 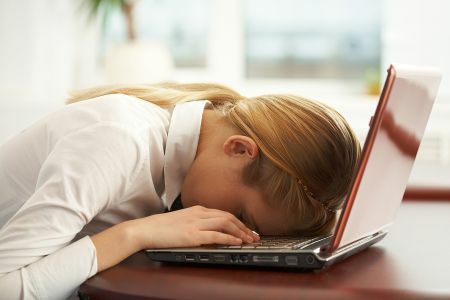 However, 6 out of the 15 patients participating in this study mentioned that probiotics helped them to alleviate other symptoms of chronic fatigue syndrome, such as the ones related to neurocognitive functions. Researchers authoring this study have come to the conclusion that, even though more studies will be needed, probiotics can be a powerful tool to treat the symptoms of chronic fatigue syndrome, but that the actual outcomes of probiotics consumption, especially for the symptoms related to fatigue, is greatly dependent on the individual involved. Nevertheless, other studies have linked probiotics with an improvement of fatigue-related symptoms in some circumstances. For example, a recent study showed that probiotics improve the overall quality of life of colorectal cancer survivors, including fatigue-related symptoms. It has also been proven that alternative medicines, such as probiotics, can help patients dealing with fatigue caused by cancer or by cancer treatment like radiotherapy. Finally, some studies also suggest that probiotics might help athletes recover faster from fatigue caused by their physical activities and subsequently, this can help to improve athletic performance. The reason why the effects of probiotics on fatigue vary among individuals are not clear yet. It is however most likely related to the person’s own microbiota (the whole population of bacteria inside the human body), as the types of bacteria in each individual are different. Furthermore, the different types of bacteria in the gut releases molecules in the body that can be responsible for the different effects observed by the person. As such, each individual responds differently to different types of probiotics according to the situation of their own gut’s microbiota. This makes it so that it’s ideal for each person to find a good probiotic to restore the balance of bacteria in their gut. We are all different, and one probiotic might work wonders for one person, but might not be as effective for another. If a probiotic fails to help, then it’s up to you to find a different probiotic. That’s why it’s best to get a probiotic with multiple high quality strains, which you usually do not find at your local drug store. Some of the more popular ones you see advertised on TV might have only one or two strains, and their strength can be lacking. They can get away with that because they have big marketing budgets, and spend more money on the packaging than on the product that goes into your body. While I haven’t tested every probiotic out there, Probacto does make an excellent probiotic. It has multiple high quality strains with high strength, so it has a higher chance of working out. I do honestly believe it’s the best probiotic on the market. Frémont, M., Coomans, D., Massart, S., & De Meirleir, K. (2013). High-throughput 16S rRNA gene sequencing reveals alterations of intestinal microbiota in myalgic encephalomyelitis/chronic fatigue syndrome patients. Anaerobe, 22, 50-56. Lee, J. Y., Chu, S. H., Jeon, J. Y., Lee, M. K., Park, J. H., Lee, D. C., … & Kim, N. K. (2014). Effects of 12 weeks of probiotic supplementation on quality of life in colorectal cancer survivors: A double-blind, randomized, placebo-controlled trial. Digestive and Liver Disease, 46(12), 1126-1132. Nichols, A. W. (2007). Probiotics and athletic performance: a systematic review. Current sports medicine reports, 6(4), 269-273. Stubbe, C. E., & Valero, M. (2013). Complementary Strategies for the Management of Radiation Therapy Side Effects. Journal of the advanced practitioner in oncology, 4(4), 219. Sullivan, A., Nord, C. E., & Evengard, B. (2009). Effect of supplement with lactic-acid producing bacteria on fatigue and physical activity in patients with chronic fatigue syndrome. Nutr J, 8(4).